Eric Downing is the Gerhard L. Weinberg Distinguished Professor of German, English and Comparative Literature and Adjunct Professor of Classical Studies at the University of North Carolina-Chapel Hill. He received his Ph.D. from the University of California at Berkeley (1987), his M.A. from UC-Berkeley (1980), and his B.A. from Swarthmore College (1977). His primary literatures are German, classical Greek, and Latin. 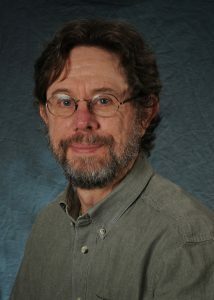 Before coming to UNC-Chapel Hill, he was John L. Loeb Associate Professor of the Humanities at Harvard University. His courses in Comparative Literature include classes in literary theory, the history of poetics, eighteenth and nineteenth-century fiction, aestheticism, and several on ancient-modern relations. His teaching in German has concentrated on narrative fiction from the late eighteenth to the early twentieth century, but includes courses on Nietzsche, Freud, and Walter Benjamin. In 2004 he was presented with the Johnson Award for Excellence in Undergraduate Teaching, and in 2015 with a Distinguished Teaching Award for Post-Baccalaureate Instruction and Mentoring. He is the author of articles on classical literary theory, Greek drama, Roman elegy, and ancient/modern relations, as well as works on nineteenth-century literary realism and twentieth century modernism. His most recent books are Double Exposures: Repetition and Realism (Stanford University Press, 2000), After Images: Photography, Archaeology, and Psychoanalysis (Wayne State University Press, 2006), and The Chain of Things: Divinatory Magic and the Practice of Reading in German Literature and Thought 1850-1940 (Cornell University Press, 2018). He is co-editor of The Camden House History of German Literature, Volume 9: The Nineteenth Century 1830 – 1899 (2005) and of two special issues of The Germanic Review, Evidence and the Insistence of the Visual (2001) and Critical Constellations: Walter Benjamin (2006). He has also co-edited a volume of essays on reading practices, entitled Literary Studies and the Pursuits of Reading (Camden House 2012), which includes his own contribution on ‘magic reading’, the topic of his most recent monograph.